Store & utilise your asset data easily via a securely encrypted web portal. Asset Data Manager is offered as "Software as a Service" (SaaS) cloud base so no software installations are required. All users have the latest release and all updates are rolled out to all users with no additional costs. Modules are selected to suit the company & users business needs. Users can view their asset and search listings with filters for make, model, asset & serial number, category & sub category, status and regions, sub regions, countries states and down to a city level. 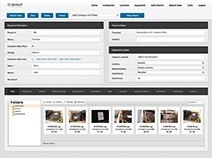 The equipment view has tabs to capture photos, PDF documents, over a dozen key data fields and more information based on the modules a user has selected with their subscription. Asset Data Manager allows for multiple users across multiple sites to maximise access to your asset information so your teams can share information easily within one central system. Access your contacts and equipment database securely anywhere anytime from any web enabled desk top or mobile device. 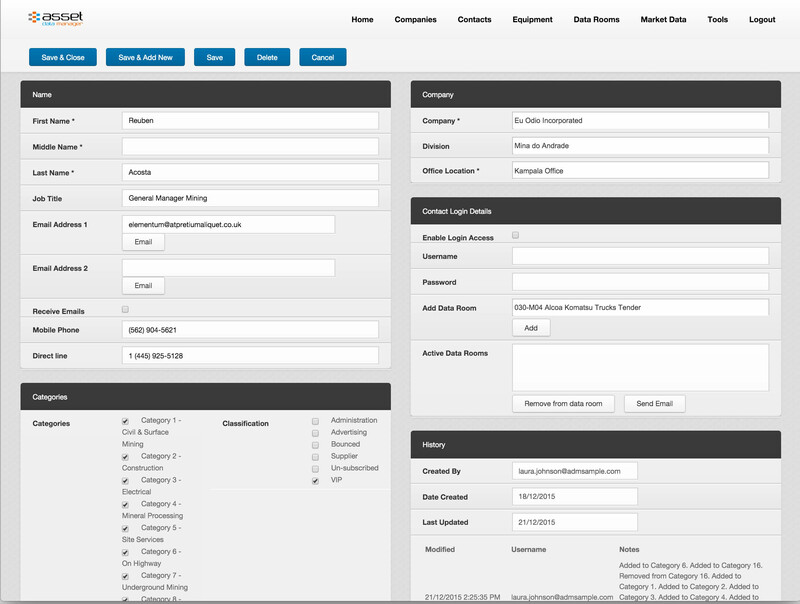 Asset Data Manager integrates asset data and contact data to streamline your marketing activities. ADM allows for seamless transition from internal data storage to external marketing activities to maximise efficiency with asset re marketing & disposal activities. Time to market is cut to almost zero with two click direct feed to a users website and two clicks to add an asset to your next email marketing campaign. Immediate information on asset status - allows for auditing and planning for future projects. Numerous reporting capabilities. 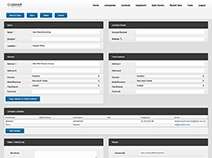 Seamless integration between your contact database and equipment database streamlining your email marketing campaigns. Instant report generation for Marketing and Valuations. 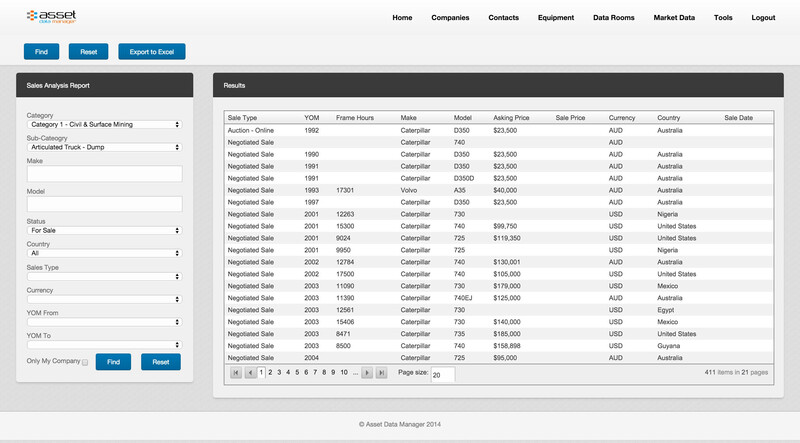 The Market Data module empowers users with an interest in understanding equipment values and current and historical market data. It provides a single platform for asset owners, valuer's, financiers, insurer's, equipment dealers & auctioneer's to view assets for sale or sold across the globe. It gives the user the ability to generate reports to append to a formal valuation report to authenticate research processes.